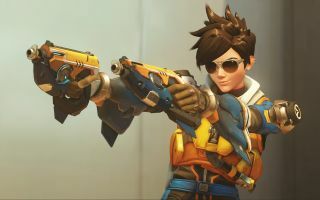 BlizzCon brought a whole lot of news for the latest addition to Blizzard's line-up, Overwatch. We learned a release date, a price (meaning we also learned it won't be free to play), saw a new map and three new heroes, and much more about the story and universe. I sat down with Game Director Jeff Kaplan and Creative Director Chris Metzen to discuss how the beta's been going so far, why they went with this payment model, what future content might look like, and much more. Watch the video above to see our full conversation.